As the Government reviews the implementation of LASPOA, we look at access to legal aid and the impact of legal aid cuts on society. 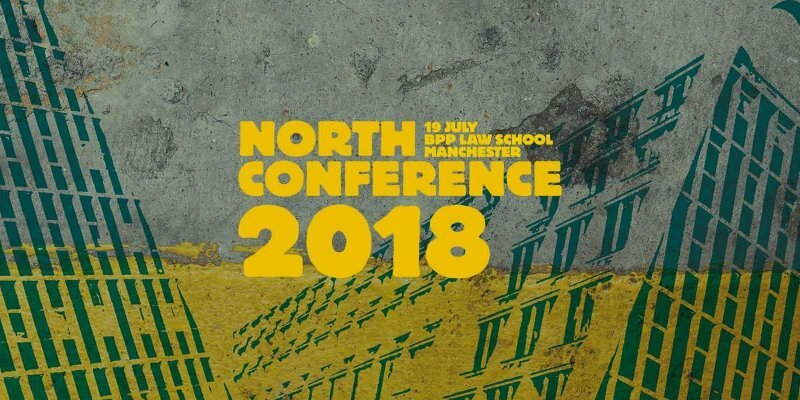 This conference is kindly supported by Garden Court North Chambers, Legal Aid Practitioners Group (LAPG) and BPP Law School, Manchester. Today the legal aid system only provides for people on the very lowest incomes and even those receiving out of work benefits are often excluded due the value of their homes being taken into account. Millions with low working incomes cannot afford to pay legal costs, whilst the numbers struggling to reach an acceptable standard of living has risen significantly. This talk looks at how austerity and legal aid cuts interact. The Legal Aid, Sentencing and Punishment of Offenders Act (2012) has generated a significant number of cases challenging the legislation and its implementation on behalf of those affected. Alison will look at the impact of the cases and some themes running through them. This presentation concerns a three year project interviewing litigants in person (LIPS). Although Jess’s work focuses on the family court, the presentation will consider common problems facing those appearing in court without representation. There are Common misconceptions regarding what is out of scope of Exceptional Case Funding (ECF), immigration and housing in particular. This session look at how to apply for ECF, common problems and what we know about success rates. 2. Legal aid and access to justice for modern slavery victims. This session will look at immigration legal aid for modern slavery victims and a recent judicial review of the Legal Aid Agency when legal aid was refused for a victim. It will also look at cases highlighting why legal aid is essential to build the case of leave to remain during the National Referral Mechanism (NRM) process and to challenging unlawful decisions on leave. This session looks at how access to justice issues are framed by the media and asks how stories picked up by mainstream media can help refocus public opinion and, hopefully, Government policy. Examples will include the recent Windrush scandal and the profile and perception of the ‘hostile environment’ policies, and the increasing public awareness around unrepresented litigants. The session will also look at FOIA requests and working with journalists. This debate will asks what advice models are appropriate for areas of legal advice removed from the scope of legal aid, including benefits, early housing advice and non-asylum immigration. This session will seek to help organisations or individuals preparing to feed into the Governments review of LASPOA implementation. It will look at evidence gathering and presentation and how to show insight from your clients or your organisations perspective. This session will focus on Legal Aid Agency contracts, bids for grant funding and other public contracts, practice and procedure: the Public Contracts Regulations and judicial review. 16.15 – What is the duty on the state to ensure access to justice? Advisers: £72 (£60 + VAT) per delegate including caseworkers, advisers in CABs, Age UK, student advisers and lay advocates working in the voluntary sector. Discounted fee: £90 (£75 + VAT) per delegate including charities, voluntary sector, academics, students. Standard fee: £144 (£120+VAT) per delegate, for private practice and public bodies. There are a limited number of student tickets available at £12 (£10 + VAT).